I also created a sample post. Since this a collaborative tool, you should try it out to see how it works! You can use this link to access the Flipgrid (you’ll need to sign in with your alaska.edu email address), and then click on the big green + sign to create your own response to my Flipgrid prompt. You can also try contributing to the Flipgrid through the app by using the code ed655. I struggled a little bit to figure out how to use Flipgrid, but I think it wouldn’t be too hard to get the hang of it with practice. It’s kind of cute-sy for me (for use in higher ed anyway), but the aesthetics of it might appeal to and feel familiar to younger students / college students. As far as applications go, obviously it has a lot of potential for class discussions. Video can be a very powerful way to encourage student-student and student-instructor connections. As I discussed in this article review, students express greater satisfaction with a course when they have that element of “seeing,” so instructors should carefully consider whether or not to include video components in discussions. The maximum length of a reply of a Flipgrid is 5 minutes, although I can’t imagine any instructor wanting to sit through 5 minute responses when there’s a class of 20 or more, and students might start to lose interest as well. 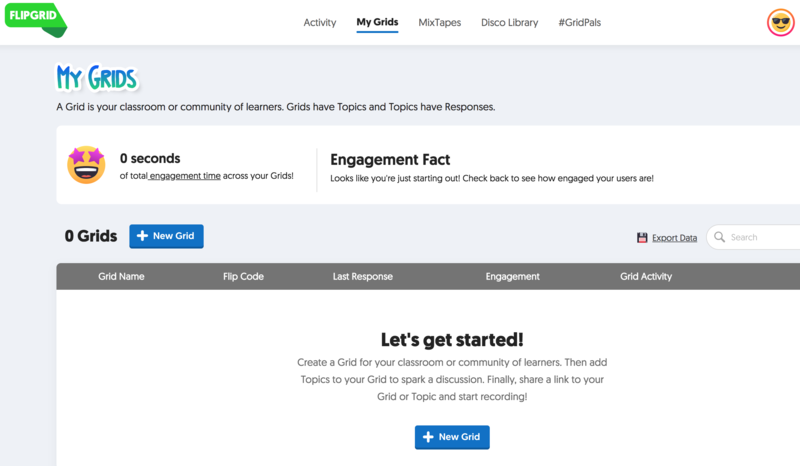 For some students, a tool like Flipgrid would be a major time saver as compared to a Canvas-style discussion board. This is the type of student who loves to talk and has no problem seeing themselves on video. For others, though, this format of discussion could cause anxiety and take up more time than a written discussion board. They might re-record multiple times before being satisfied with their response. (For me, it is just hard to find a quiet space/time to record, so that may also be a greater barrier to participation). You also don’t have the ability to link or refer to readings/academic sources, which is a limitation as well. Consequently, Flipgrid may be more useful for “brainstorming”/informal/social-type discussions. However, I didn’t realize this before doing this review, but you can do student responses to student videos. This kind of threading allows for more natural discussions, in my opinion. You can also easily re-record your video response, so students could potentially craft carefully worded responses, respond to one another directly, and thus engage in deeper levels of conversation. Trello seems like a great tool for people who like list-making. It makes it easy to color code lists, add due dates, drag and drop tasks from one list to another, create checklists (with a handy progress bar that shows you what % you have left to complete), etc. This could be especially useful for managing group or team projects, since you can easily add people to specific Trello boards or share boards with a link (as I did above). I like that it highlights upcoming due dates so you can see at a glance what you need to do soon. As for educational applications, I think instructors could encourage students to use Trello to independently manage their to-do lists. Or, teachers could create a Trello board that walks students through each step of an assignment, and share it with students. You can add attachments, links, etc. to your boards, so that would be an easy way for teachers to provide explanation. Since this is really more of a productivity tool than an educational tool, I’m having a hard time coming up with other educational applications… I’m looking forward to hearing your ideas! Very simple! When you are done, you click on the “save” icon in the top right to download your file as a PNG. For high-resolution, you have to pay $19 to upgrade. The low-resolution isn’t great (especially after seeing your logo crisp and clear on your screen as you’re working on it), but it’s probably good enough for educational use. I loved how easy it was to use – it’s clearly targeted towards people who don’t have a design background. For example, all the fonts are categorized by their “feel,” which could be very helpful for someone who doesn’t have an instinct for what messages different fonts convey. Everything seemed to be designed for expediency, too, which I appreciate. 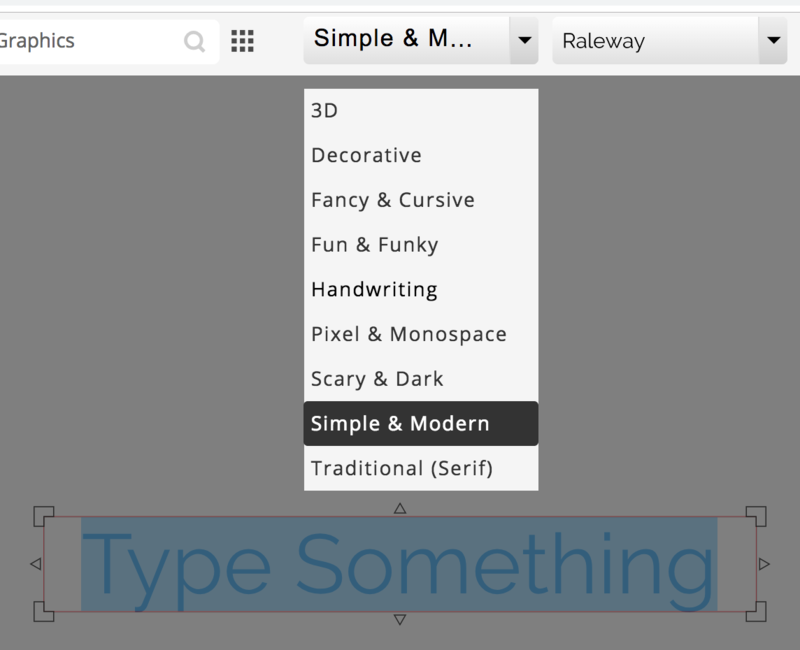 For example, rather than having to change the font by typing in the size, you can just drag the text box to resize it. In my case, the project creation was still not that quick at all because I went down too many rabbit holes looking at different colors, pictures of cookies, etc. The only technical glitch I encountered was when I went to select the perfect little clip art, and for some reason, Logomakr wouldn’t transfer it into my project. Everything else seemed to work just as intended. Unlike a lot of these web-based tools, you don’t create a Logomakr account. On one hand, this is nice because it’s one less username/password to manage, but on the other hand, this means there’s no way to save your progress. This may actually not be that big of an issue because you aren’t going to use Logomakr to create complicated designs. In other words, if you lost your project, it probably wouldn’t take you that long to quickly rebuild it. The “thinking up the logo” takes a lot longer than actually building it. Teachers could use Logomakr to create badges for their courses. (Logomakr has a specific section of clip art called “badges”). Students could earn badges for accomplishing certain tasks or achieving certain levels of mastery. (Or, along the same lines, instructional designers could use badges to indicate the same kinds of things). Students could use Logomakr to complete assignments that require them to represent information visually. In a marketing class, for example, students could use it to create a logo for a business proposal scenario. Teachers could use Logomakr to design a banner or “course” logo or buttons, in order to add visual interest and aesthetic appeal to an online course. For more examples of how Logomakr can be used, you can go to Logomakr’s website and watch the video that pops up the first time you visit the site. Yellowdig is an “online learning community” designed specifically for use in college classes. According to Yellowdig, before Yellowdig, professors had two options for virtual collaboration and discussion. They could use existing social media platforms like Facebook and Twitter – which are social and familiar to today’s student, but aren’t specifically designed for academia. Or, they could use discussion platforms that are specifically designed for academia, such as a Blackboard or other LMS-integrated discussion board. But these are often clunky and forced, and lack the interactivity that students are used to encountering in social media. This is the gap that Yellowdig was created to fill. It’s an intuitive, social media discussion platform designed specifically for the university environment. Once logged in, you can create a Yellowdig board for your course. You can select it to be open to your university, or closed to a specific class. This board is essentially a virtual “pin” board that students can use to communicate. It’s like what you’d see on other social media sites, so students can comment on pins, add articles or other media of their own, or request the professor to add new boards. Yellowdig also tracks student participation through points. This provides professors with an easy and objective way to grade student participation. 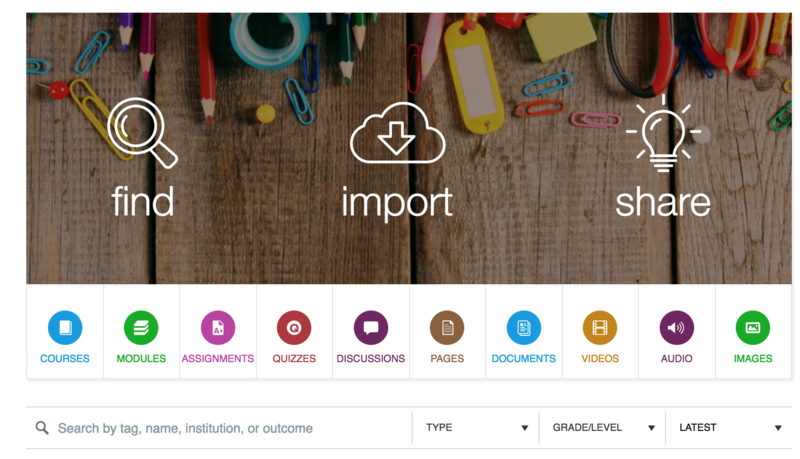 Yellowdig is integrated into a number of learning management systems (Blackboard, Canvas, etc. ), so it’s easy for instructors to set it up so that the points students earn on Yellowdig are automatically entered into the LMS gradebook. Yellowdig is also mobile friendly, so students can really use it like a social media platform, and check on it, discuss, and collaborate on their phones or tablets wherever they are. I think one of Yellowdig’s primary strengths is how it can easily be used to pair class discussion with real world applications. If students come across an article or video or something online that reminds them of what they’re learning about in class, they can simply pin it to Yellowdig for discussion. (Compare this with a common alternative: emailing the article to the professor, who then has to disseminate it to the class). This enables students themselves (not just instructors) to bring in real-world examples and really apply what they’re learning. As far as a limitation- and this is a pretty significant limitation- as far as I can tell, you have to be associated with an institution that has a Yellowdig site license in order to use it in your course. Yellowdig is not at all transparent about how to create an account or pricing options, so I’m not even completely sure about that. It only gives you two options when you first get to the homepage – you can either “login” or “request a demo.” I “requested a demo” and received an email video demo and the contact information for the Yellowdig account manager for my university. It would be nice if Yellowdig had a demo course already built up that potential users could explore, without the commitment of specifically requesting a demo first. And, even more, it would be nice if Yellowdig had a basic account that people who are not associated with a Yellowdig university could still use it. Otherwise, the use of Yellowdig is limited to professors at universities with Yellowdig site licenses. For those professors, however, I would certainly recommend Yellowdig as a powerful discussion platform for both face-to-face and online courses. Canvas is a cloud-based Learning Management System (LMS) used by over 3,000 institutions. As an LMS, Canvas can be used for all the typical LMS tasks, like sharing files, calculating grades, hosting an online course, etc. What I’d like to focus on in this blog post is one particular feature that Canvas offers: Canvas Commons. Canvas Commons is a repository of Open Educational Resources (OER). Teachers using Canvas can easily find, import, and share educational material through Canvas Commons. Materials in the Commons use Creative Commons licenses, so teachers don’t have to be concerned about breaking copyright when they copy, remix, and use the material in their own courses (of course some CC licenses still require attribution or no derivatives, so be sure to keep those parameters in mind). You can search for courses, modules, assignments, quizzes, etc. You can also filter by grade level (from Kindergarten up to Graduate), and filter by “latest,” “most relevant,” or “most highly rated.” If you find content you’d like to use in your course, you can click on it, and then easily import it directly into your Canvas course. Once it’s in your Canvas course, you can modify it to suit your specific learning outcomes. You see that next to each section, you have the option to “Share to Commons.” Once you click on that button, you can choose a license (copyrighted, CC-BY, etc. ), add a title, description, and tags, and choose a course image and set the grade level. You can also set outcomes for K-12 (Common Core and by state). It’s completely free! That is obviously one of the primary benefits of OER – when content is free of charge and copyright-free, it is easy to use and remix it for educational purposes. It gives teachers the flexibility to modify and adapt materials to suit their specific needs and learning outcomes. Canvas Commons is useful for teachers who are already using Canvas, since all the materials you access through Commons are designed for use in Canvas. Instructors who aren’t using Canvas could theoretically use Canvas Commons materials (if they created a Canvas account), but they would probably find it simpler to look for OER elsewhere. Canvas Commons does also seem to have more K-12 resources than higher ed resources, but it’s still worth a look by faculty. Teachers within the same school could share their quizzes to Commons, and then import each others’ quizzes into their courses. This allows for easy collaboration between co-workers. An instructor has created a new learning module. He could share it to Commons and tag it with “community review.” This will encourage other users to review and provide feedback on his learning module. An instructor in a history course wants students to learn about the basics of writing a research paper before they begin a final project. She could add a Commons module on this topic, freeing her to focus on the actual subject matter of her course. No need to reinvent the wheel if another subject matter expert has already created a useful resource! Canvas Commons makes it easy to access open resources that can be seamlessly integrated into a Canvas course. The search options make it easy to find exactly what you want, and it’s also very user-friendly. If your school uses Canvas, I recommend checking it out! 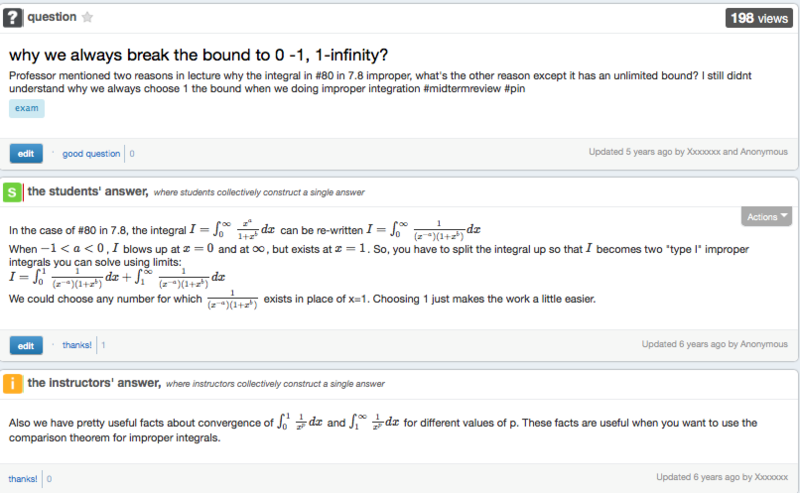 Piazza is a free online question-and-answer platform for use in college classes. Students and instructors can post and answer questions. It functions like a web-based discussion board, but more robust, since it allows better tracking of student participation and more student-driven conversation. Anyone can post a question. Then, other students can respond in a wiki-style format. This means that, like a wikipedia page, students keep editing the “student response” post, so that each question will end up with only 1, high-quality student-written response. Student questions and responses can also be posted anonymously. You can also post notes and polls, and easily organize posts or files into folders (like “exam,” or “week 2 homework”). You can filter posts by unread, unresolved, following, etc. You can also track TA and student participation – Piazza will generate reports about your top contributors, or about overall class activity. (Instructors could use this, for example, as a way to assign a grade to student participation). As you can see in the example above, Piazza has an integrated LaTeX code equation editor, which is critical for discussion and questions in upper-level science, math, and programming type courses. It also integrates with Blackboard, Canvas, and other LMS and has iOS and Android apps. While Piazza is designed specifically to help instructors manage Q&A’s in large classes, I think it could also be quite useful in small or medium sized classes as well. Obviously, the LaTeX code equation editor makes it possible to have collaborative work in the math/science/computer classes, which I imagine is hard to do. To me, what makes Piazza stand out from a regular LMS-based discussion board is the wiki-style student response feature. I imagine it would also be a real time-saver for professors – rather than answering disconnected student posts one-by-one (or even worse, responding to the same emailed question over and over again), they can just tell students to post all questions on Piazza, and then quickly check the cumulative student answer. It also allows students to work together to come up with a “class” answer to common questions, so it’s almost like every question can lead to class collaboration. I think there’s a lot of benefit in giving students the space to learn from one another, and Piazza offers an easy and intuitive way to do that. Zoom is a video conferencing and web conferencing service, so you can use to it conduct virtual meetings. (It does other things, but I’m just going to discuss its video conferencing capabilities). It’s great for collaborative online work. It’s similar to Skype, Webex, Google Hangouts, Blackboard Collaborate, etc. When you conduct your Zoom meeting, you can use audio, video, screen sharing, screen sharing of a “whiteboard”, and chat (an instant message chat you can use during the meeting). You can also record your meeting. If you go to Zoom’s website, you enter your email address and sign up for free. They’ll send you an email, and you click on the link to activate your account. After you choose a password, your account is created. One of the easiest ways to host a meeting is to simply send others your personal Zoom URL. If they click on that URL, it will take them to your Zoom meeting room. You also can send them your Zoom personal meeting ID. They visit Zoom’s website and type in that meeting ID, and then they’ll be put into your Zoom meeting room. Participants can also call in on a phone, which is great for situations when someone’s internet goes out at an inconvenient time (which is all the time). While I mentioned a number of other similar tools, Zoom sets itself apart by how easy it is to use and its reliability. I have used it a handful of times and have never experienced poor connection issues, glitchy-ness, or the “can you hear me? I can’t hear you” problem often encountered in virtual meetings. You can do quite a bit with the free account. You are able to host/attend an unlimited number of meetings and host up to 100 participants. 1-on-1 meetings can last as long as you’d like, but there’s a 40 minute limit on group meetings (although you technically could just log out and start another meeting… but you didn’t hear that from me). Zoom could easily facilitate online group work among students, or could be used by an instructor to hold office hours, exam review session, etc. It’s long been noted that interactivity in an online class leads to greater student satisfaction with the course (see this article, for instance). Student-student and student-instructor engagement is a key component of a well-designed online learning environment, and Zoom could be a valuable tool in creating that kind of collaborative environment. Diigo is a tool I’ve used often in my coursework for my UAF M.Ed. It’s a great way for students and instructors to organize websites, PDFs, etc. for future reference. It also makes it easy to share these resources with others. It has a few plans ranging in price, but I think the free Diigo account offers enough features to be worth your while. Diigo also supports teachers by offering free account upgrades/features if you apply for a teacher account. In the teacher account, the teacher can create and manage student accounts. A student account provides additional privacy for the user. You’ll notice I have ads because I have a free account. Clicking the red button on the top right hand side of the screen (which I did before I took the screenshot) expands and shows you the types of items you can add to your Diigo library. Whenever you add a webpage bookmark, image, PDF, or note, you can “tag” it with a particular category or topic. So, for instance, I have tagged the articles and resources I found with the course name so that I can easily sort/view them (I’ve circled my “tagged” list on the left-hand side of the screenshot). You can also use Diigo to annotate with notes or highlights, either within your Diigo account or with a browser extension, and Diigo saves your annotations for later use. With that link, if you have a Diigo account, you can view my publicly shared articles and annotations. (Using the tags to sort and find the articles that are relevant to your interests, of course). If you want to share a specific article (including your annotations, if you’ve added some), you can click on the “share” button and Diigo will generate a specific link to that article. This is a very handy tool when conducting research. It encourages students to archive and organize their sources, which encourages proper citation habits and discourages plagiarism. The collaborative potential of Diigo is also particularly useful because it makes it easy for students to quickly and easily share articles with their classmates. Aside from being used by the student, I think anyone should consider using Diigo since it is an efficient way to build your own personal “library.” With Diigo, you can keep your favorite professional, academic, or even personal resources at your fingertips, ready to be sorted, retrieved, and shared whenever needed. Canva is an online graphic design tool. You can customize and make items like infographics, newsletters, banners, or images. It also can be used for photo editing, and is particularly useful in making eye-catching graphs or charts. While I realize it is not as specifically geared towards “education” as some of the tools I’ve looked at, it still has many applications in the virtual and in-person classroom (see this link: Canva for Education). After creating a design, you can download it, embed it, share a link, etc. For example, it took me less than 5 minutes to make, download, and embed the image below using Canva. I know “making a course pretty” is not usually an instructor’s top priority. However, I would argue that visual design should be considered a key component of course design. We are more likely to want to spend time in a space (virtual or otherwise) when it is visually pleasant and interesting. 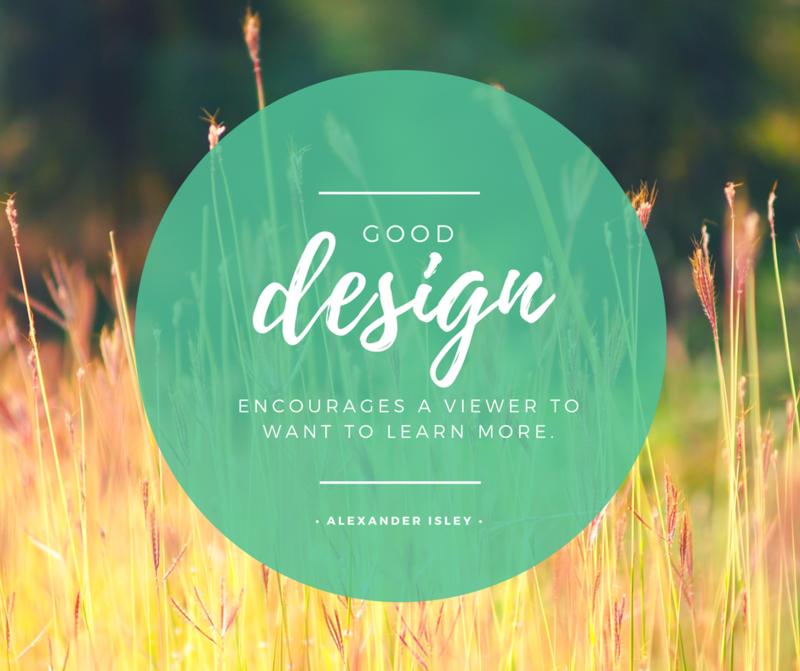 When instructors take care with their design elements (like those you can create with Canva), it demonstrates to students that you are invested in the course and in their experience of the course. So how could Canva be applied in a course? Instead of creating a fact sheet with basic text, consider an infographic. Instead of creating a syllabus with a simple text heading, consider creating a banner. Especially in the context of online education, students’ first impressions of the course will be formed based on your visual design. No matter what you choose to create, Canva offers an easy way to introduce professional-looking design elements into your course. Scribblar is like an online whiteboard. To me, it is a less powerful version of Blackboard Collaborate or Adobe Connect. The basic (free) plan lets you have up to 3 “rooms,” with up to 3 users per room for a 14 day trial. You would have to upgrade to another plan to get more users and more rooms (for example, the premium plan gives you 25 users per room and 25 rooms, and costs $39/month). I personally wasn’t a fan of the “look” of Scribblar – to me, it felt too institutional and Blackboard-ish. In other words, I think it could’ve been designed to be more eye-catching and more user-friendly. Its technology just felt kind of out-of-date (for example, the icons remind me of old Microsoft Word, and I had to login almost every time I navigated away from the website, which was a pain). With so many options for ed tech out there, these characteristics alone would probably push me to look for different tool instead of using Scribblar. I could see Scribblar being useful under these (limited) conditions: (1) an instructor doesn’t have access to other collaboration tools, like Blackboard Collaborate or Adobe Connect, and (2) an instructor needs to be able to virtually collaborate with only a handful of students (i.e., like online office hours, individual tutoring sessions, etc. ).